There are tonnes of reasons why you should occasionally skip your dry land sweat session for a plunge in the pool. As weird it sounds, yes swimming can help you both run and recover better, not to mention being a great sport to take up with summer sneaking up. Running mainly activates lower body muscle groups, but swimming offers the benefits of a full body exercise for a balanced workout. It strengthens upper body muscles which are often neglected in a running only fitness routine. 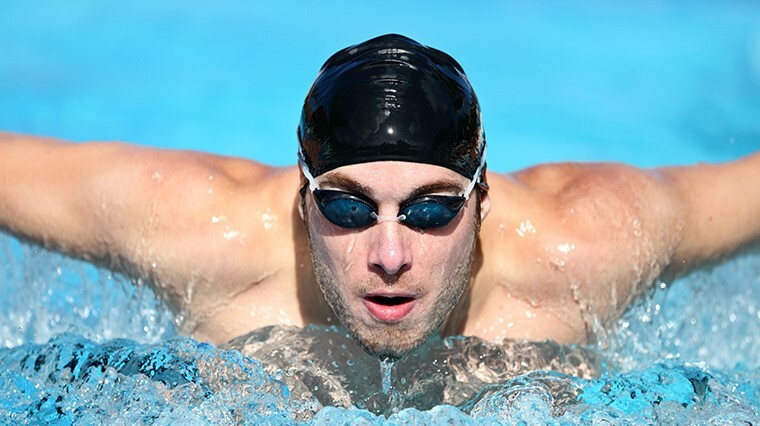 Swimming targets muscles involved in correct running posture including your shoulders and arms, encouraging a more consistent rhythm and reduced muscle fatigue when you next put foot to pavement. Your feet, knees and spine act as your body’s natural shock absorbers and must withstand repetitive impacts when running, putting them at risk of injury. However, the ‘weightlessness’ of our bodies in water means shock doesn’t pose the same problem when swimming (take that gravity!). 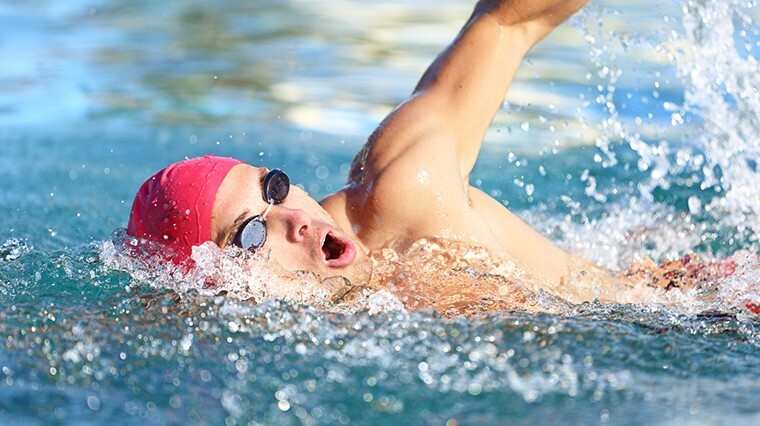 The low impact nature of swimming strengthens muscles susceptible to overuse injuries from running, without overburdening them or delaying injury recovery. As an aerobic exercise swimming builds your cardio fitness but without the risk of repetitive stress injuries associated with running. It strengthens your heart, encouraging your body to use oxygen efficiently and decreasing your resting heart rate. Committing to regular swimming sessions can also aid in weight loss. Controlled, rhythmic breathing is a key skill of proper swimming form that transfers smoothly to your running sessions and can strengthen your respiratory muscles. Swimming trains your lungs to work more efficiently for better endurance, encourages you to pace your breath appropriately and will reduce breathlessness on the road. Here’s more on how to breathe better on your runs. Water is denser than air, acting as a form of natural resistance that works against you as you apply your stroke to push or pull forward. The repetitive action builds muscle tone, improves muscle endurance and strength while placing less strain on your muscles than running on dry land. Swimming should complement, not replace your strength training sessions as part of a balanced cross-training plan. Swimming stretches your muscles and improves joint flexibility, helping ward off common running injuries such as shin splints, tendonitis and runner’s knee. Team it up with Pilates and yoga to increase your flexibility in and out of the water. Swimming is ideal for active recovery – giving your legs and joints a breather from the high impact stresses of running, while providing an effective cardio workout and improving your endurance. An easy recovery swim may help to eliminate lactic acid build-up following an intense run. Cold water reduces inflammation of your joints and muscles. Alternatively, swimming in heated pool relaxes them, increasing flexibility, reducing injury risk as you exercise and allowing you to stretch out aching, tender muscles.